Ubisoft is celebrating the third anniversary of Rainbow Six Siege a little early. 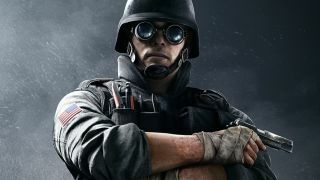 Technically Siege won't turn three until December 1, but from Thursday, November 15 through Sunday November 18, it'll be free-to-play on PS4, Xbox One, and PC. The full game will also be discounted from November 15 through November 30, though discounts vary by edition and availability varies by platform. Plus, you'll be able to transfer your progress from the free weekend to the full game if you decide to keep playing. The free weekend will end with the Siege Pro League Finals on November 18. For the uninitiated: that'd be the final round of this year's Pro League tournament, which you can watch live on the official Rainbow 6 Twitch channel. As our sister site PC Gamer reports, the finals will feature the reveal of two new Siege Operators and a new map. So, now's a pretty good time to give Siege a try. Siege has grown into one of the most consistent and compelling team shooters you can play today. As we wrote last year, the game's unmatched strategic tension, continuous updates, and community involvement managed to overcome its rocky launch. It was even nominated for Best Ongoing Game in the 2018 Game Awards alongside Destiny 2, Fortnite, No Man's Sky, and Overwatch. If you're new to Rainbow Six Siege, check out our guide to the best Operators for new players. Knowing which Operators to unlock is important, and we've got helpful recommendations for attackers and defenders.